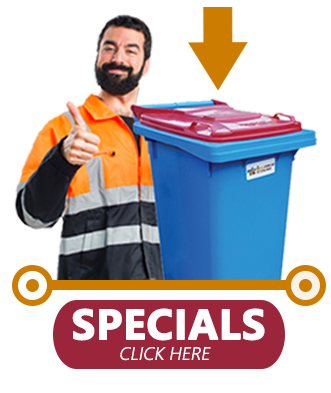 "BEST BIN BUYS IN BRISBANE/QUEENSLAND"
"WE ARE A WHOLESALE SUPPLIER"
Best PRICES, Best QUALITY, Best SERVICE, Best VARIETY. New bins wrapped and stacked or wrapped in pallets. We provide great discounts to bin purchases who bulk buy new and used bins. For more information please contact us on: 0413 056 057 – Jon or 0413 200 193 – Lani. You have found BrisBins, a 20 year-old wholesale and direct sales company specializing in 2nd Hand, new and spill kit wheelie Bins. We have the largest range of 2nd hand bins and can service internationally from our Australian Yard. We import and export to suit your needs. To order your Bins call us today and we will not WASTE your time!! To order, please ring the office. Aside from the excellent and friendly service and quality products, I was really impressed with the same day delivery. Time and money is not wasted when dealing with Brisbins. 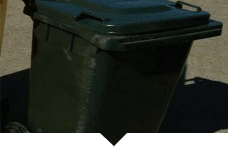 Brisbins have the best prices compared to other mobile garbage bin companies I’ve checked in Brisbane area. Perhaps even best in Queensland! They also have a system where you can trade in your old which is great as I didn’t have to dispose of them plus even managed to get a few dollars of my new purchase. I’ll sum it up with ABC (Admirable prices, Best wheelie bins provider in Brisbane, Customer service of highest standard). Brisbins by far, are the most affordable mobile garbage bin company in the entire Brisbane area without compromising their excellent service and superb product quality. Their staff work promptly and efficiently, I couldn’t ask for anything more.